Loch Etive, in Northern Argyll on the west coast of Scotland, provides the ideal conditions for premium-quality trout. Loch Etive steelhead trout are raised in a remote, pristine environment with pure waters and fast-flowing currents. High in Omega-3 oils, this sashimi-grade fish is ideally suited for cooked creations—Loch Etive Steelhead are antibiotic free, all-natural, no growth promoters, no hormones and have a GMO-free feed. 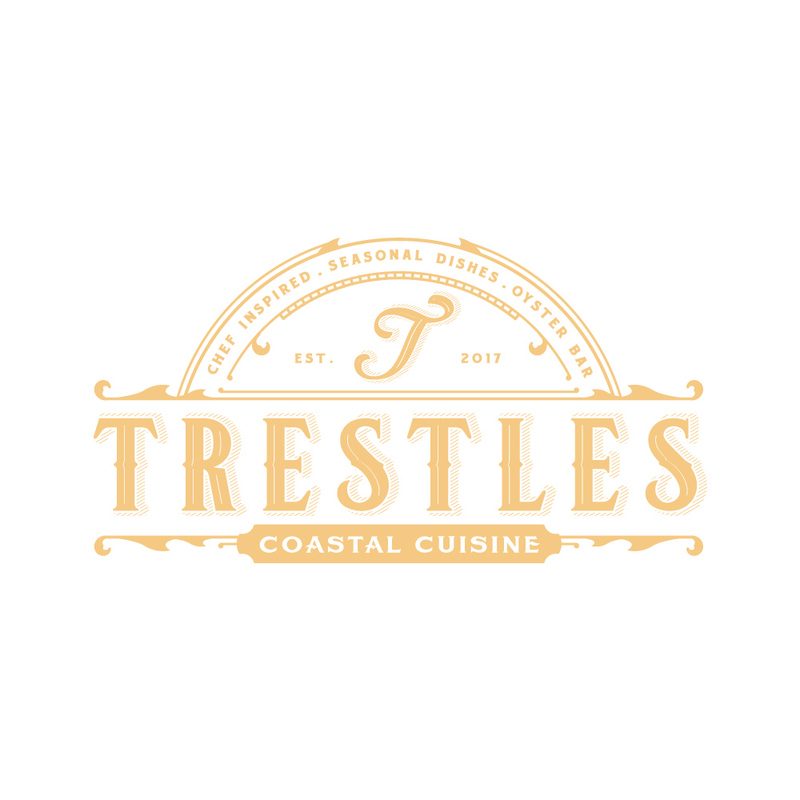 Navy Point Oysters are at Trestles! This establishment is fantastic, it is my 2nd time visiting which reaffirmed it being in my regular rotation when I go out to eat. First off the oysters as an appetizer is an excellent choice to start off your meal. The size to price ratio is top notch. I usually... read more also judge a place by their Lobster Roll and crab cakes. Needless to say Trestles executes flawlessly in this realm, my group has had different types of dishes and the results have been the same as the food listed before. Now onto desserts, whoever is in charge of that is a sweet treat whisper. I've had probably the best Panna Cotta I've ever had and whenever I see it on the menu it's an instant selection for me to try and judge against the other ones I've had. This establishment is fantastic, it is my 2nd time visiting which reaffirmed it being in my regular rotation when I go out to eat. First off the oysters as an appetizer is an excellent choice to start off your meal. The size to price ratio is top notch. I usually... read more also judge a place by their Lobster Roll and crab cakes. Needless to say Trestles executes flawlessly in this realm, my group has had different types of dishes and the results have been the same as the food listed before. Now onto desserts, whoever is in charge of that is a sweet treat whisper. I’ve had probably the best Panna Cotta I’ve ever had and whenever I see it on the menu it’s an instant selection for me to try and judge against the other ones I’ve had.